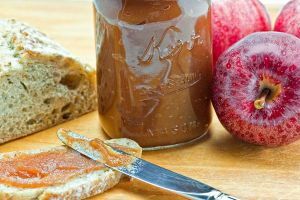 This Apple Butter is a crock pot recipe. Start on high with about 4 TB water, till it gets hot, then turn on low and cook all day. When it is done and apples are fully cooked down put small amounts into food processor and zap quickly till smooth. NOTE: If you are canning this, put into jars and seal while "HOT".